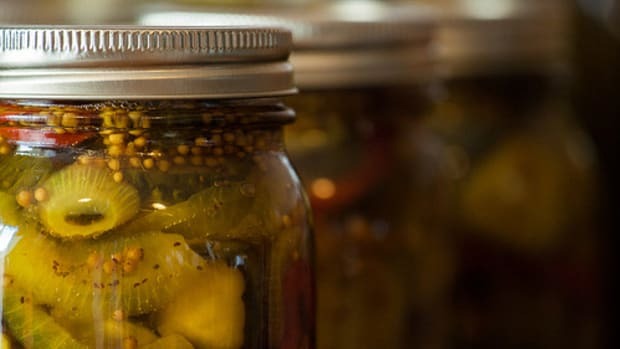 Pickling - a way of preserving foods in a solution of either salt brine or vinegar - can be used on foods year-round, and it doesn&apos;t need to be reserved for just hearty winter vegetables... get beyond the saeurkraut and pickles! 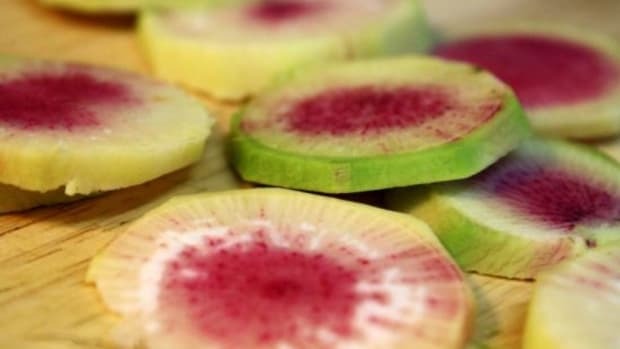 Check out some unexpected fall fruits to use in your pickling adventures. 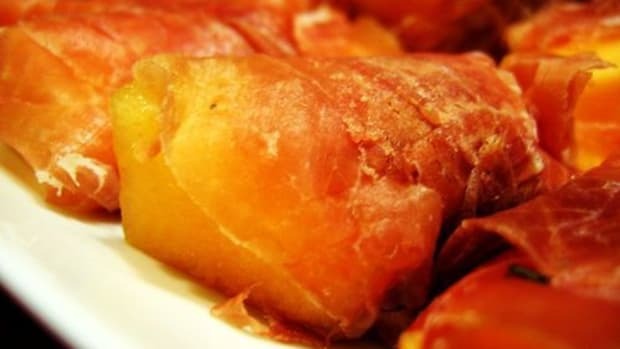 This recipe will improve your digestion, preserve fruits for weeks and jazz up your meal selections. Now, let&apos;s get pickling! Pickling is usually done by immersing your food of choice (think cucumbers for making “pickles”) in a water solution of either lots and lots of salt or lots and lots of vinegar. Depending on the type of pickles you are preparing, you might use one solution over the other for its specific taste (salty versus tart), or you might use a combination of both, as in preparing sauerkraut or kimchi. Why pickle foods at all? In the past, our ancestors only ate foods that grew locally and seasonally, as grocery stores and year-round crops didn’t exist. So in order to consume those perishables during the off-season when things wouldn’t grow, pickling was but one of many ways that people preserved their foods. 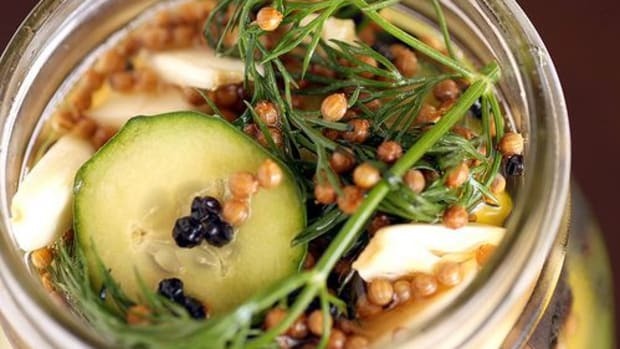 Not only does pickling keep foods around for up to a few months at a time, but it enhances the nutritional composition of the food—actually making it healthier. The process of pickling foods creates “beneficial bacteria,” the kind you get from eating yogurt or taking probiotic supplements. These beneficial bacteria help you digest food and increase the rate at which you absorb nutrients from food eaten. It’s believed that over long periods of time, these beneficial bacteria can help to rebuild the intestinal lining, which can serve to benefit those that suffer from IBS, ulcers and stomach aches. Let’s get down to the pickling of fruits. 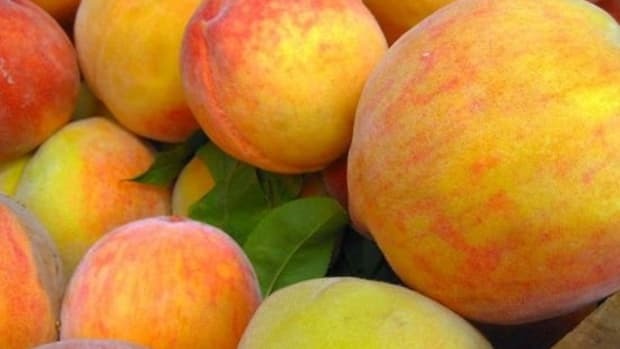 Some recipes call for “preserving” fruits in a heavy sugar base, which leads to extremely sweet, syrupy fruits that are used for desserts—not truly the healthy, wholesome way of pickling fruits. Instead, try a pickled recipe without any added sugars that lets the sweetness of the fruits speak for themselves. 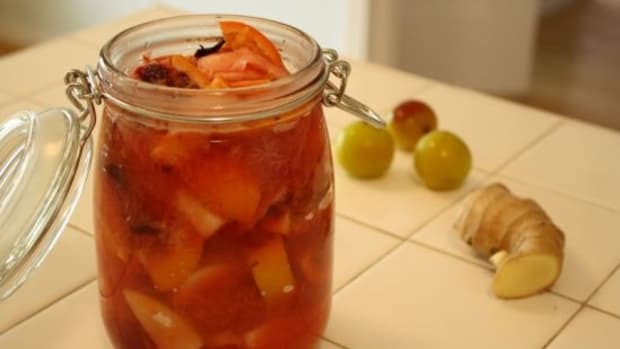 Using a vinegar base, with the addition of a few warm spices, these seasonal autumn fruits will transform over the weeks they pickle, with a spectrum of orange and magenta colors emerging and a musky sweetness developing. 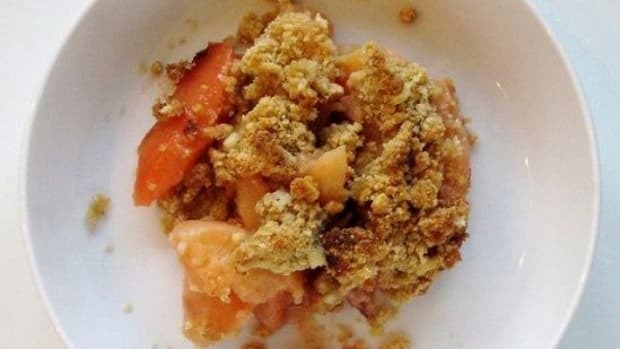 This particular recipe calls for a mélange of fruits currently in season, but it is by no means the formula you must follow use at home. Cherries, plums, apricots, peaches, pears—go with what’s available at your local market and looking the most irresistible. 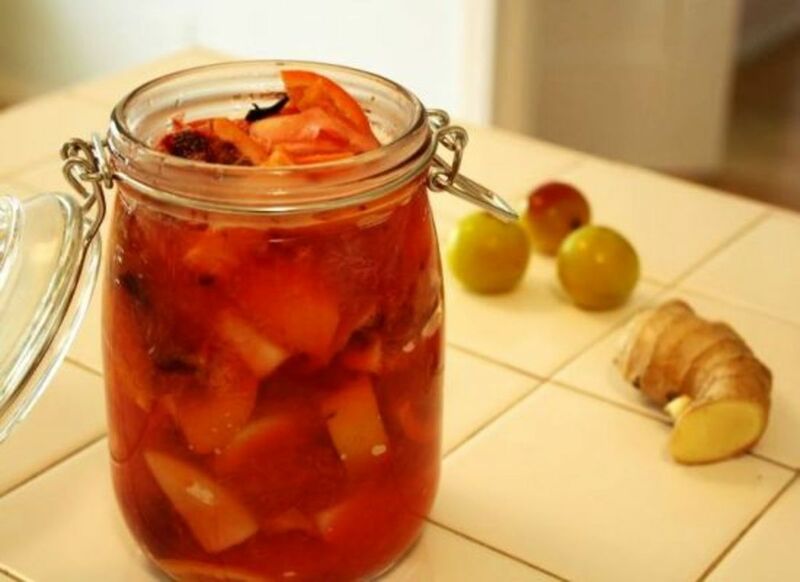 Use these pickled fruits as a condiment for meats, seafood and tofu dishes, as you would a relish or ketchup. Fold them into fresh whipped cream for an unforgettable dessert. Or spoon them atop pancakes or crepes for a peppy breakfast. Think of them like normal fruits, just with a new cool kick. And you, the seasonal home cook, will also have a new cool kick. 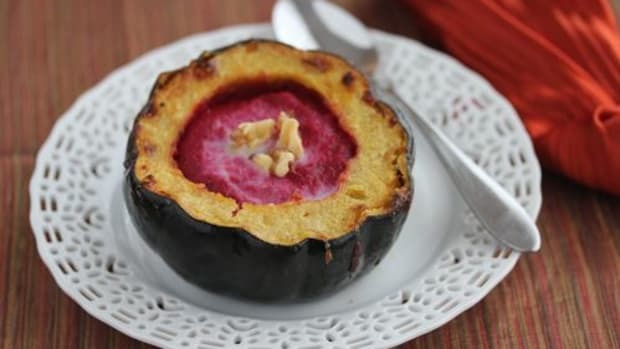 Place fruits and spices in a heavy-bottomed pan and over medium-low heat; cook 15 minutes, until soft but not mushy. Add vinegar and water; mix well and bring to a boil over high. Reduce to a gentle simmer and cook 5 minutes. Remove from heat and spoon into sterilized canning jars. Close lid or cover with a plate and let sit at room temperature overnight. Press out any air bubbles, cover tightly, and refrigerate 1 to 3 weeks, until bubbles form inside jar. Finished pickles will keep for about 3 weeks in refrigerator. * Note on sterilized jars: As I make my home pickles in small quantities and use them within a few weeks, I have never followed the official canning method—but if you choose to keep your pickles unrefrigerated for months at a time, or simply choose to follow the strictest guidelines of cannery how-to, see the USDA’s guide.